ITque's Social Media Makeover Sweepestakes! WHAT IS ITQUE’S SOCIAL MEDIA MAKEOVER ALL ABOUT? It’s all about getting social with ITque and securing your chance to win a FREE Google Home Assistant to help you tackle your day. Get answers to questions, play your music and manage everyday tasks with Google Home Assistant and your voice. WHY IS ITQUE GIVING AWAY A GOOGLE HOME ASSISTANT? On September 4th, ITque will be performing a Social Media Makeover with tons of new content on all our social media sites to help our clients and friends get the most out of the technology they use at work everyday. To kick it all off, we’re giving away a FREE Google Home Assistant ($130 value). That’s right, one lucky winner who follows/subscribes ITque on any of ITque’s 5 official social media sites will be automatically entered into ITque’s Social Media Makeover Sweepstakes to win a free Google Home Assistant. See Official Sweepstakes Rules below. Why Do Things, When Google Home Assistant Can Do Them For You? What is the Grand Prize in ITque’s Social Media Makeover Sweepstakes? One (1) New Google Home Assistant. 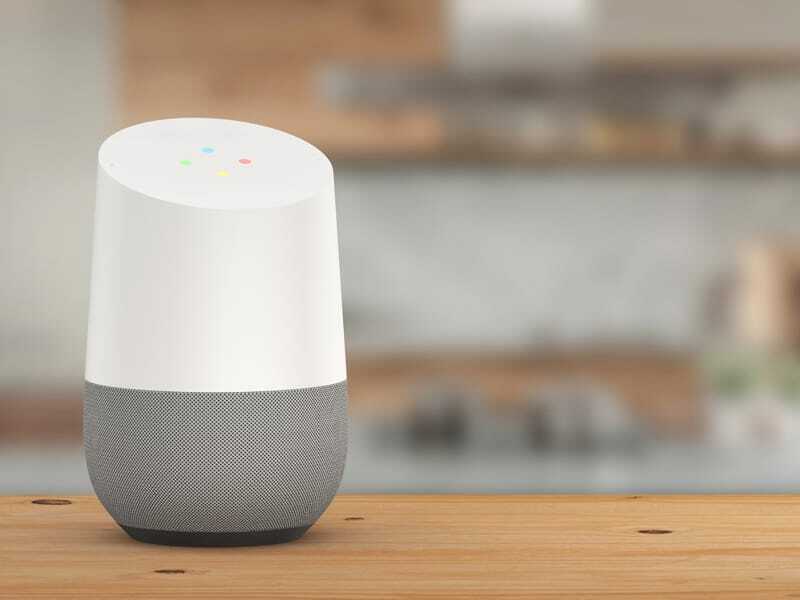 Google Home Assistant speakers enable users to speak voice commands to interact with services through Google’s intelligent personal assistant called Google Home Assistant. Some of these services include: listen to music, control playback of videos or photos, or receive news updates entirely by voice. What is the retail value of the Grand Prize? How long is the sweepstakes period? The sweepstakes entry period is now through 12:01 a.m. PST on September 4, 2018. What are the eligibility requirements to enter the sweepstakes? ITque’s Social Media Makeover Sweepstakes is open to California residents 18 years and older. Company accounts will not be eligible for the winning of the Google Home Sweepstakes. If a company account is chosen from the random drawing, a new winner will be selected through the same process listed below. NO PURCHASE NECESSARY. A PURCHASE DOES NOT INCREASE THE CHANCES OF WINNING. Participants will be eligible to participate in the sweepstakes if they abide by all listed requirements above and subscribe or follow ITque on at least one of its official social media accounts (see list below) on or before 12:01 a.m. PST. Participants will receive one sweepstakes entry for each ITque social site they follow or subscribe. For example, if you follow ITque on Twitter, Facebook and LinkedIn, you will receive 3 official entries to the sweepstakes. If a participant is found to be creating multiple accounts on one social media site to improve their chances of winning, the individual will be disqualified from the sweepstakes. What is the process of choosing a winner? ITque will use Microsoft Excel’s Random Number Generator and assign the minimum number as 1 and the maximum as the total number of followers across all official ITque’s social media accounts listed above. At the end of the sweepstakes period all official qualifying accounts across each social media site will be assigned a row number in the Excel spreadsheet. Excel’s Random Number Generator will choose a random row number and the individual with that corresponding row number will win the prize. How and when will the winner receive their prize? The winner of the drawing will be chosen on the morning of September 4, 2018 after the sweepstakes entry period has closed. The winner will be contacted via their winning social media account to verify eligibility no later than 5 days after the sweepstakes entry period. To verify eligibility, the winner must provide a valid picture ID with date of birth in addition to proof of California residency (i.e. recent utility bill, phone bill, credit card statement or equivalent with winner’s name and current address). All standard shipping cost will be borne by ITque. Once the shipping process is finalized, the expected arrival date will be communicated to the winner. If the winner cannot be contacted within 5 days after the first attempt, ITque may select an alternate winner through the same random drawing process listed above. This promotion is in no way sponsored, endorsed, administered by or associated with Facebook, Twitter, Google, YouTube, and LinkedIn. ITque is not responsible for any future damages or legal issue pertaining to the Google Home Assistant product. This sweepstakes is governed by the laws of Santa Clara County and California, without respect to conflict of law doctrines. As a condition of participating in this sweepstakes, participant agrees that any and all disputes that cannot be resolved between the parties, and causes of action arising out of or connected with this sweepstakes, shall be resolved individually, without resort to any form of class action, exclusively before a court located in California having jurisdiction. Further, in any such dispute, under no circumstances shall participant be permitted to obtain awards for, and hereby waives all rights to, punitive, incidental, or consequential damages, including reasonable attorney’s fees. ITque Inc. 2542 S Bascom Avenue, Ste. #230 Campbell, CA, 95008. By participating, the contestant (“you”) agree to be fully unconditionally bound by these rules, and you represent and warrant that you meet the eligibility requirements. In addition, you agree to accept the decisions of ITque Inc. as final and binding as it relates to the content of this sweepstakes. You also agree to allow ITque to, in its sole discretion, use your picture, your first name and your city and state of residence to promote your winning entry on ITque’s website, blog and social sites.